Summer’s here, and you’re craving a cool, refreshing treat that won’t weigh you down. Homemade popsicles to the rescue! I mean, who doesn’t love a sweet, icy treat on a hot day? But when it comes to popsicles, making your own is definitely the way to go – not only does the homemade version have a more vibrant and fresher taste, they’re much healthier than store-bought varieties. 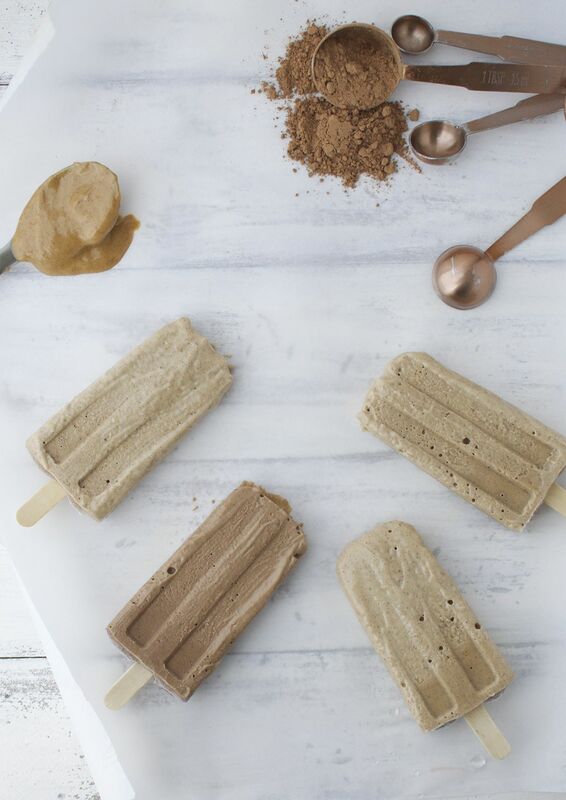 If you’re wondering where to start, we’ve got the rundown on how to make low-sugar, dairy-free, gluten-free popsicles. If you’re going to be making ice pops often, it makes sense to buy a reusable mold. Make sure the popsicle mold is BPA-free, and look for a mold that’s appropriately sized for the eater – smaller molds work well for little kids. If you’re not one for waiting around, there’s a quick pop maker on the market, but you’ll be paying a lot more for that convenience. If you don’t make pops often and want to give it a spin before buying a mold, try this easy paper cup method: Pour your pop base into small paper cups, freeze for 30 to 60 minutes, then stick in wooden popsicle sticks and freeze for another five hours. When it’s time to eat, peel off the paper cup and enjoy. If you want to go creamy, the best ways to keep it dairy-free are with coconut milk or coconut cream, avocado, or nut butter. Or, if you want a fruity base, use pure, blended fruit. Using whole fruit adds fiber to your pops, so I recommend avoiding fruit juices whenever possible. Use a blender if you prefer more pureed pops, or add whole berries or chunks of cut-up fruit if desired. Another idea: make your favorite smoothie with fruit and/or fresh veggies and then pour into the molds for a frozen version. You can even add protein to these healthy treats for staying power. 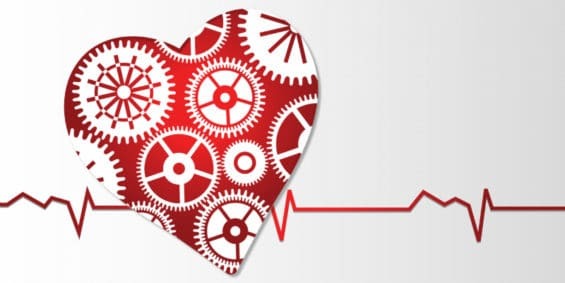 Chia seeds, nut butter, or protein powder added to your base recipe will give you the perfect protein boost. Once you’ve made your fresh and healthy base, pour it into a pitcher with a spout for easy delivery into the molds. Leave about a quarter-inch at the top of the mold for expansion as the base freezes. It’s best to wipe up excess puree after you pour in the liquid so you can easily get the pops out once they’re frozen, and use the individual covers and built-in sticks for best results. 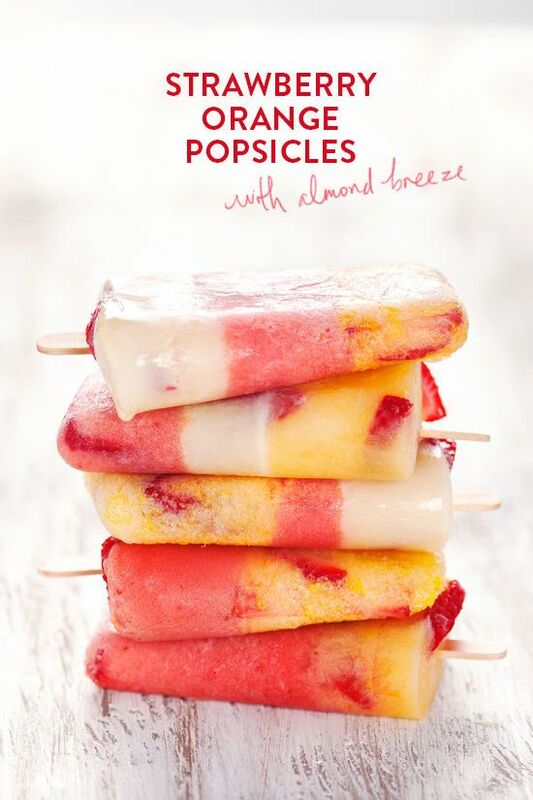 Your ice pops will be ready sooner if you place them near the back of the freezer. It’s best not to let your popsicles sit in the mold for more than 24 hours, otherwise they may change texture or discolor. You’re going to need a pan or container that’s at least as tall as your mold. Fill it with warm water and dip the mold into the water for about 20 to 30 seconds, or until the pops loosen. Take the mold out of the water and grip the handle of each pop as you gently pull upward. If there’s any resistance, put the mold back in the warm water for a few more seconds. Another way to loosen your pops is to let them sit in the mold at room temperature until they start to pull away from the mold, but this method can be a bit messy. Alternatively, you can run each mold under warm water, but this may cause an uneven loosening of each pop. Freeze the popsicles again. Even though you’ll be tempted to try a sample, you’ll have the best consistency if you put your ice pops in a Ziploc bags or an airtight container (with waxed paper between each pop) and freeze again for 30 minutes. This ensures the popsicles will hold their shape and won’t melt as quickly. 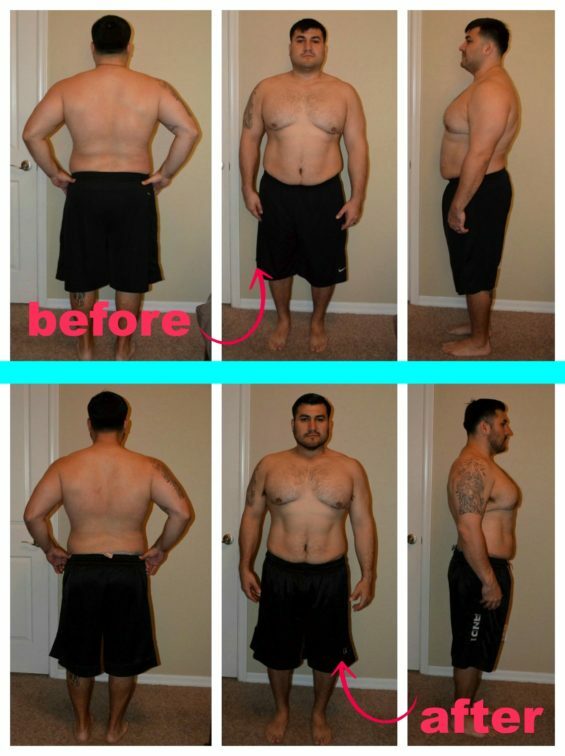 Keep extras in the freezer and store for up to four weeks. 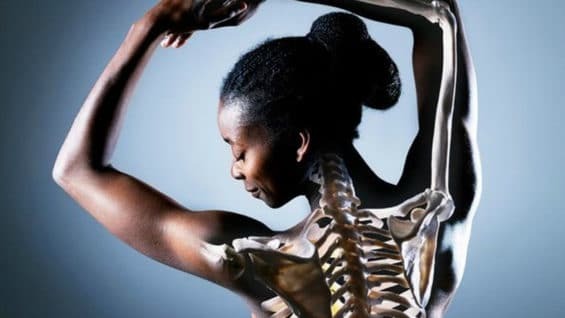 Ready to get going? 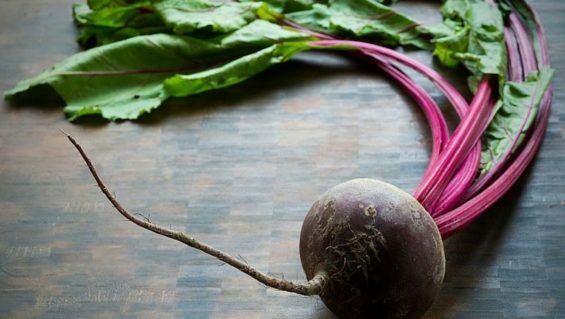 Here is a delicious, sweet roundup that will keep you feeling refreshed all summer long … or maybe bring back the flavors of summer during cold months. Go back in time with a chilly Orange Julius made the healthy way, in this yummy vegan version. Full-fat coconut milk gives it creaminess, and orange zest gives it a citrus zing. Sounds weird, tastes great – rich, creamy, and chocolaty. Avocado not only gives these frosty treats a heart-healthy edge, but also their creamy richness. 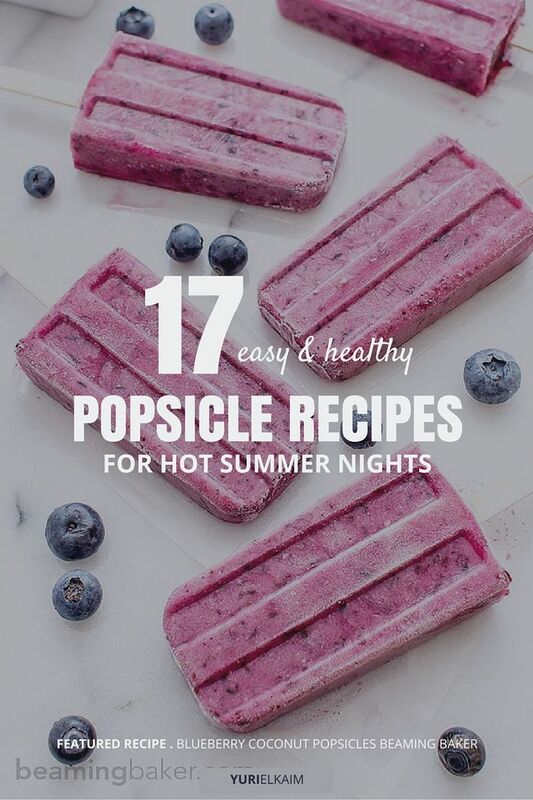 Beat the heat and satisfy your sweet tooth with these healthy ice pops. 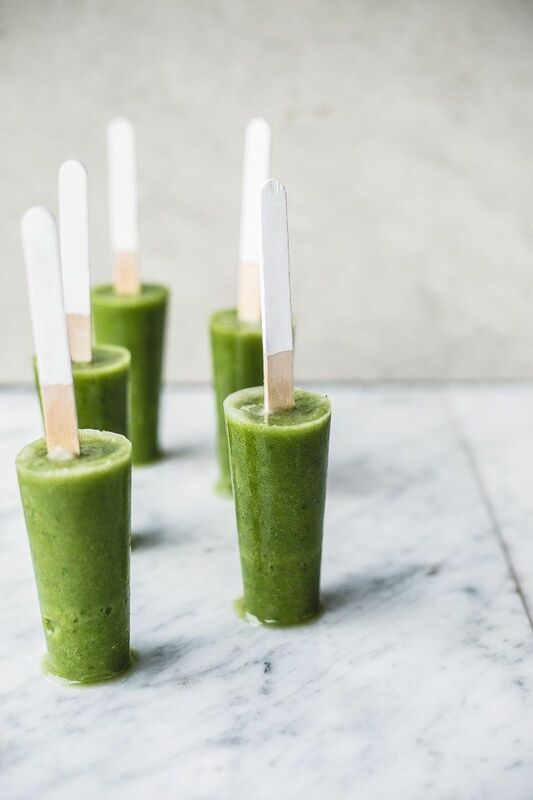 So simple with just a few ingredients, these smoothie pops will surely become your summertime go-to treat. This 5-ingredient popsicle is smooth, creamy, rich, and tasty with hints of tart, sweet, berry goodness. This recipe combines peanut butter with coconut milk, is naturally sweetened with medjool dates, and is bursting with fresh berry flavor. Easy and fun, this four-ingredient recipe makes a healthy treat. Antioxidant-rich mango is perfectly balanced by the little nuggets of chocolaty goodness. 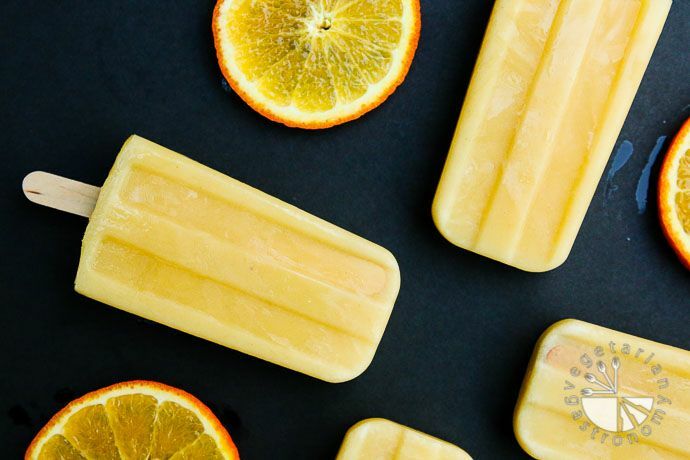 Reset your body with a cold, fresh, vitamin-packed popsicle. 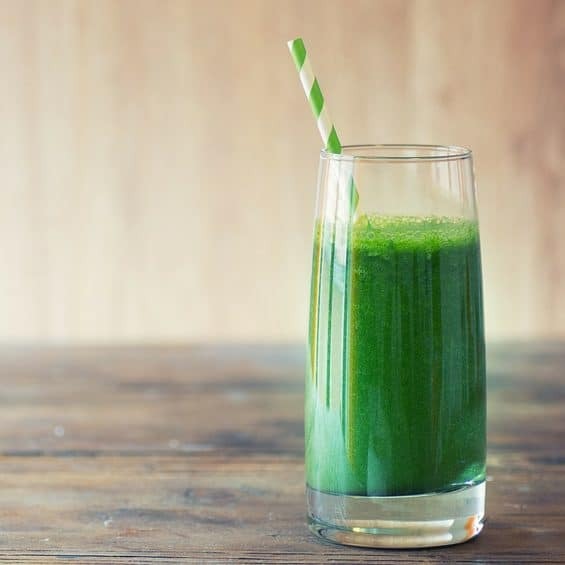 It’s full of healthy veggies and fruits for a treat your body will love. If you’re looking for a decadent yet healthy treat, this recipe is for you: Pure blended fruit is dipped in to dark chocolate. So good! 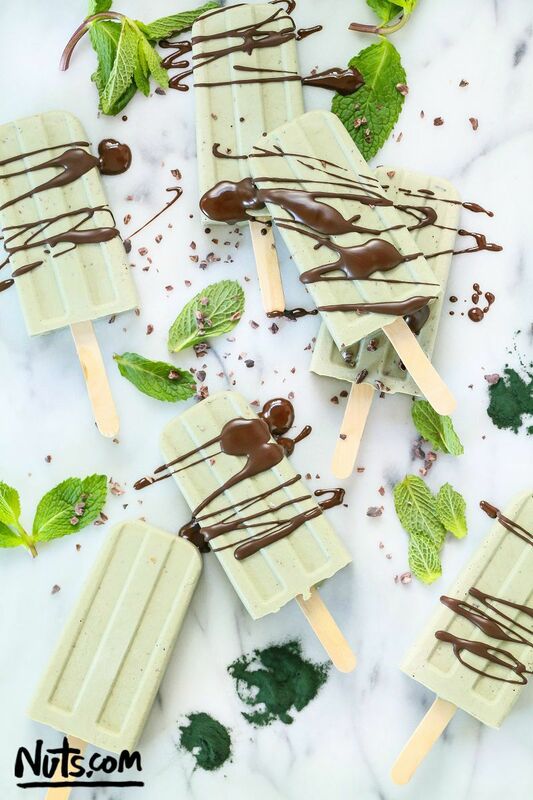 Cool mint and smooth chocolate come together in these dairy-free pops that are ready to enjoy straight out of the freezer – or with an added dark chocolate drizzle. Stunningly beautiful, vegan, and packed with healthy ingredients, these strawberry popsicles are just what you need for a hot summer day. 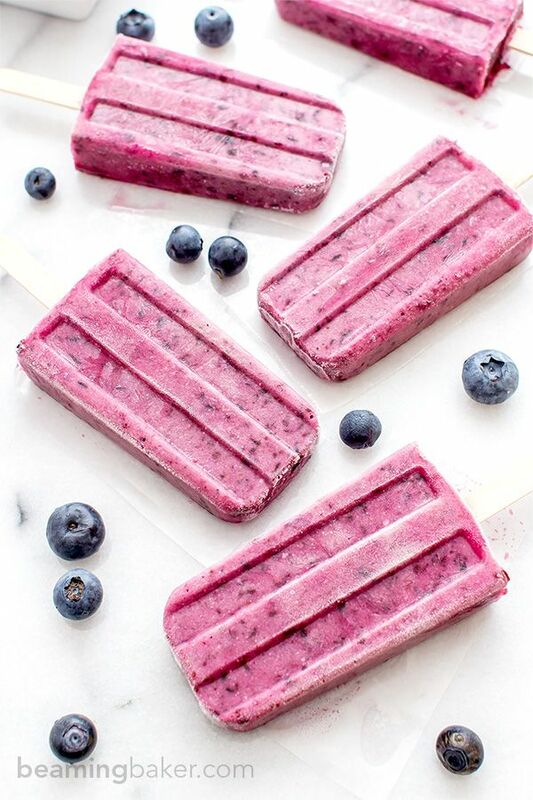 Toss three simple, feel-good ingredients – blueberries, coconut milk, and maple syrup – into a blender, then freeze the creamy mixture into a popsicle mold. Hours later you’ll have a frosty treat bursting with fresh blueberry flavor. Super-ripe nectarines are paired with creamy coconut milk, zesty lime juice, and ground ginger in this refreshing recipe – the flavor combo is delicious. These pops contain enough protein and fiber to power you through until your next meal – and yet they’re still a delicious summertime snack. Plus, they are 100 percent naturally sweetened, gluten-free, and dairy-free. 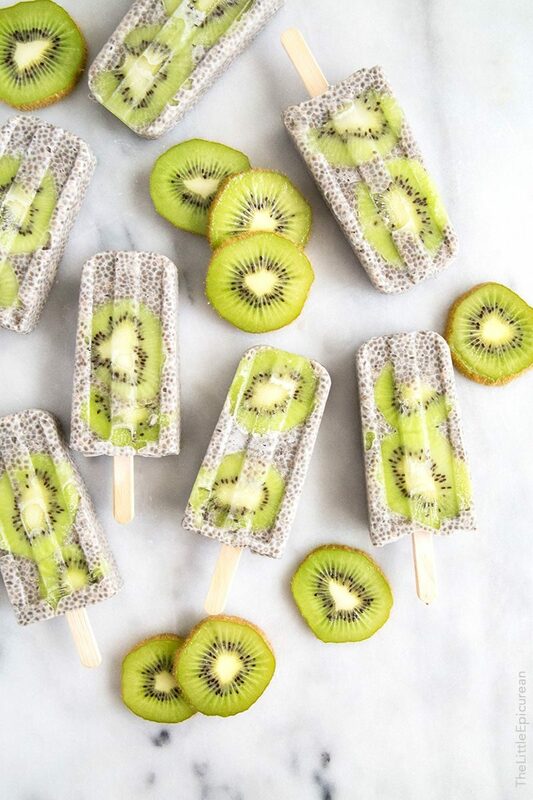 The super power of chia gives these ice pops plenty of fiber, protein, and omega-3 fatty acids and bananas give them a tropical flavor. Delicious! Here’s another gorgeous recipe, this one featuring bright green kiwi slices floating in a sea of delicious coconut chia pudding. 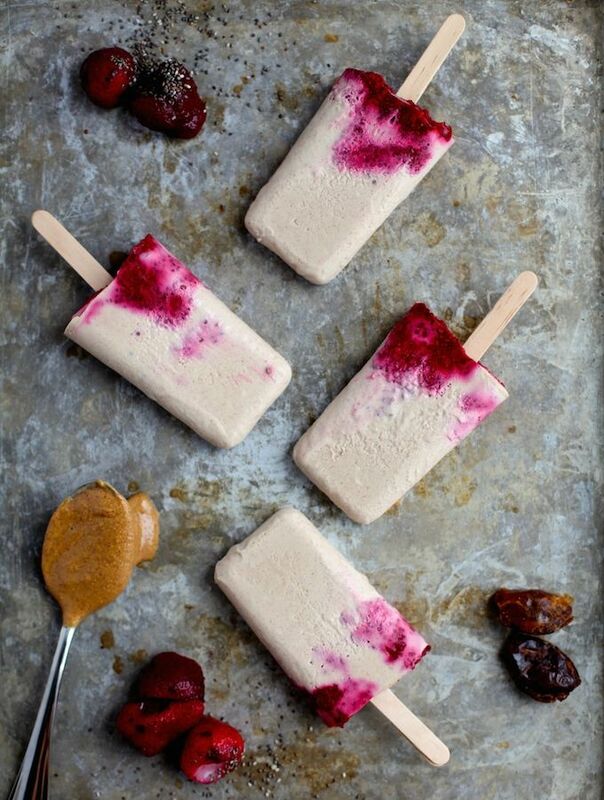 And these pops look just as good as they taste! Turn your nutritious fruit-and-veggie-filled drink into a frozen smoothie popsicle that will keep you cool and your kids happy. The flavor possibilities are practically endless: how about trying strawberry-banana-oatmeal, blueberry pomegranate, tropical, pumpkin, or green kiwi? This one tastes like summertime: filled with the flavors of sweet strawberries and refreshing oranges. Made with both fresh and frozen fruit, you can add protein powder for a little midday boost if needed. 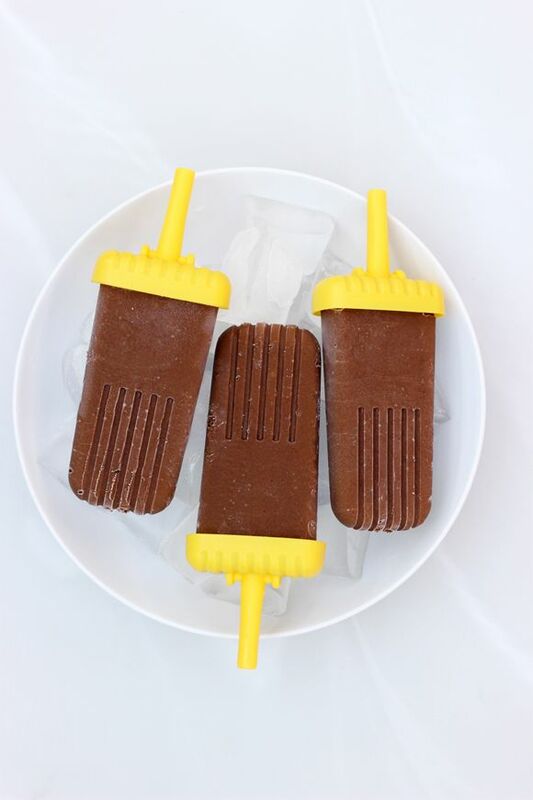 Homemade popsicles can be a healthy, refreshing treat that won’t overload you with sugar. 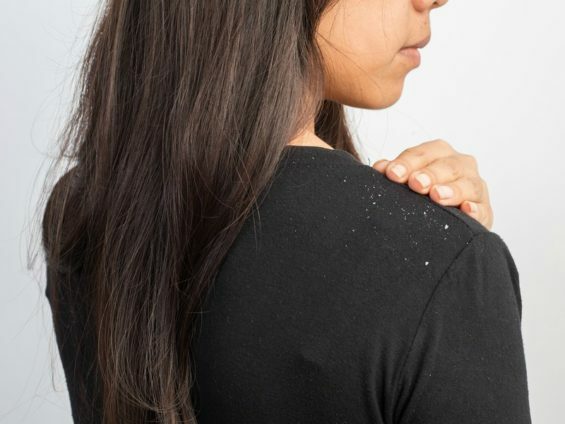 And plus, by using whole ingredients, you can also sneak fiber, vitamins, minerals, and phytonutrients into snacks, making them good for you (and for your whole family). 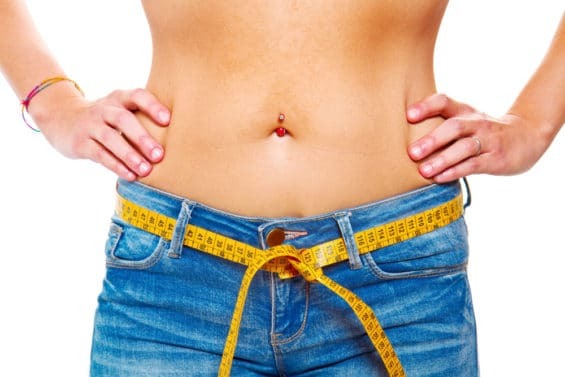 Looking for more healthy desserts that will leave you feeling light, refreshed, and satisfied? 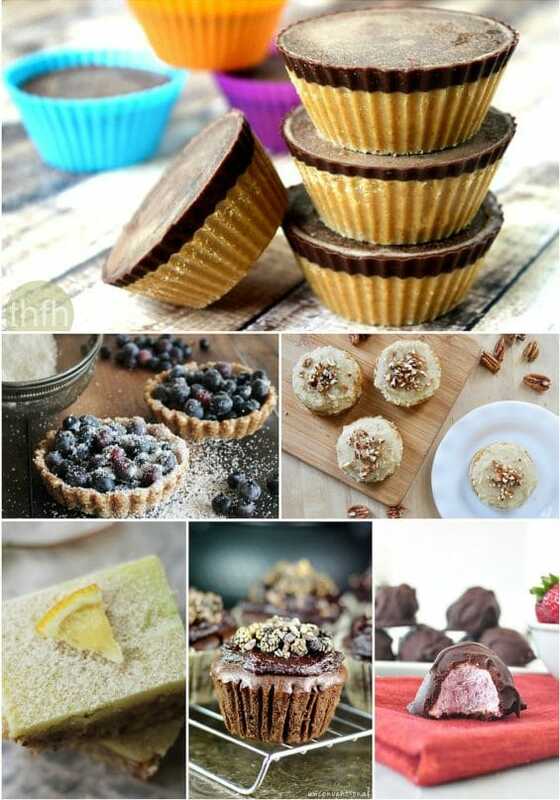 You’ll definitely want to check out the 8 irresistibly delicious – and 100 percent gluten- and dairy-free – recipes in my Healthy Desserts eBook. 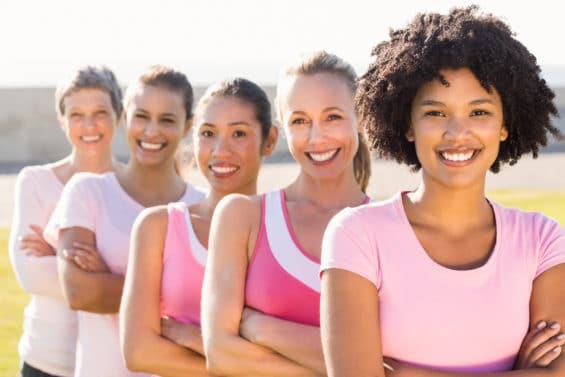 You can get it – for FREE! – by clicking the banner below.